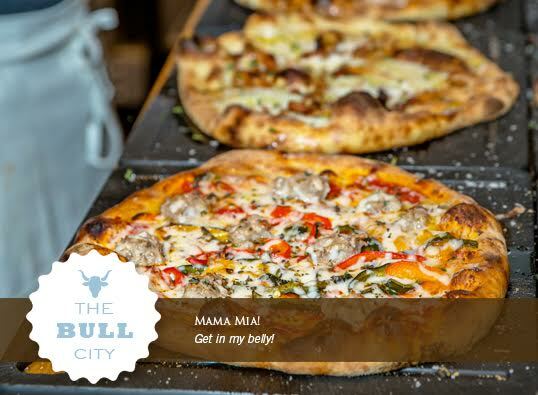 Home to renovated tobacco warehouses, the Durham Performing Arts Center, the Durham Bulls, and Historic Parrish Street, downtown Durham is about cutting edge culture and fantastic food. Let us show you this vibrant city and introduce you to the restaurants, shops and people that are making Durham one of the nation’s cultural hotspots. 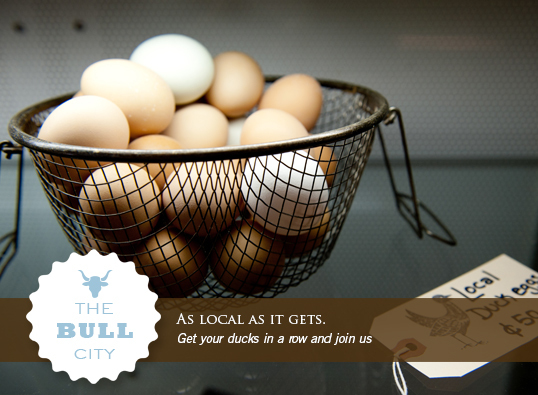 With a farm-to-table focus and artisan preparation of innovative cuisine, you will discover all of Durham’s flavors! The 10am and 1:30pm Durham Downtown Tasting Tours: these tours are a fantastic way to experience six different Durham gems and learn about downtown! The restaurants featured on this tour have lines out the door every day, but the delicious tastings are prepared and ready for the tour to just walk in and enjoy! 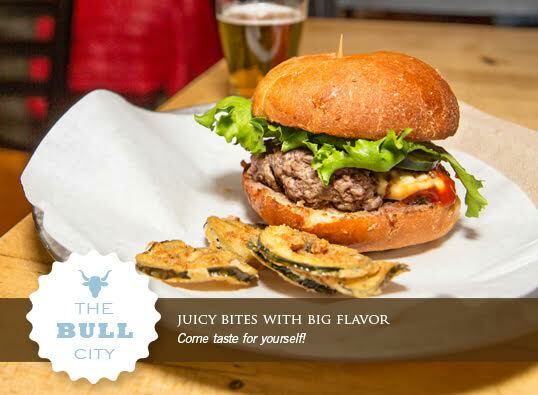 From North Carolina pasture-raised beef burgers with made-from-scratch toppings on homemade buns, to wood burning pizza with local toppings, to the perfect sandwich/ soup pairing in a mini-package, to local beer and sweets, you will come away as delighted by downtown Durham as we are! These tours includes food tastings at five to six different restaurants and food shops, with splashes of wine and tastes of beer here and there. Schedules and menus are subject to change on a week-to-week basis based on restaurant availability. The 3:15 Durham Downtown Evening Tasting & Drinks Tour includes food and drink tastings at five to six different restaurants and bars. The restaurants featured on this tour are as farm-to-table as you will find and are all located in funky, rehabbed historic buildings. Chefs prepare substantial tour tastings all paired with small drinks, including beer, wine and cocktails. Also included on this walking tour is a tasting and demonstration at a craft cocktails bar (21+), as well as a local sweet treat at the end. 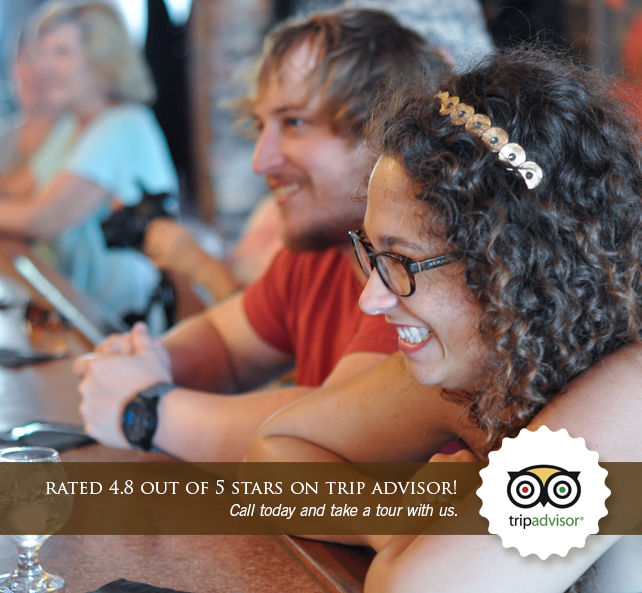 1:30 Durham Downtown Tasting Tour, $59.50 ($61.50 with service fee). 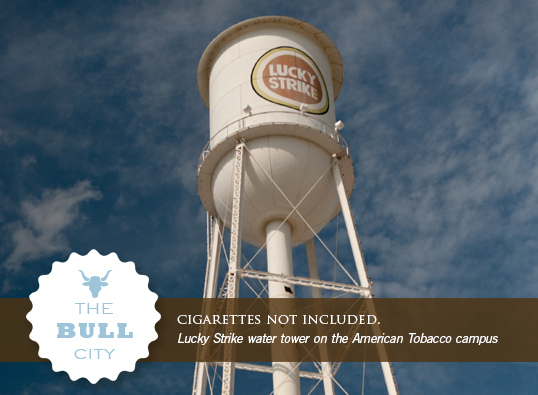 Additional 10:30am Durham Downtown Tasting Tour is also available by request! 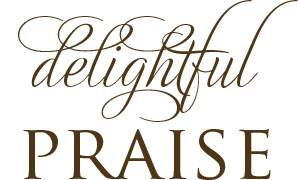 Offered every Saturday – and is also available on weekdays by request. 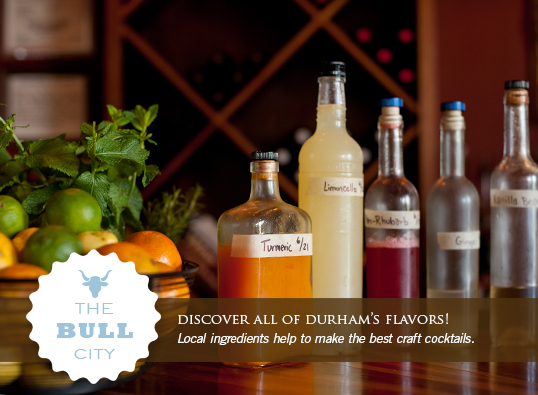 3:15 Durham Downtown Evening Tasting & Drinks Tour, $79.50 ($82.50 with service fee). Now offered every Saturday and some Sundays! Custom weeknight tours are available by request for groups. 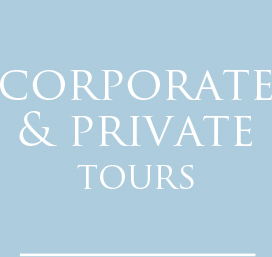 Private and corporate tours can be arranged for any day or evening of the week. 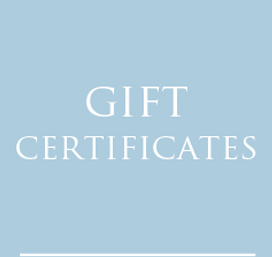 The Purchase Tickets link in this box takes you to a list of Durham tours. The Purchase Tickets link at the top of the vertical blue bar takes you to a calendar that shows available dates and tickets for all tours in all cities. Park in the deck at 101 E. Corcoran, at the corner of Main and Corcoran, or at the American Tobacco Warehouse in the North Deck. Parking along the street is timed on weekends with one to two hours max, so will not be available. 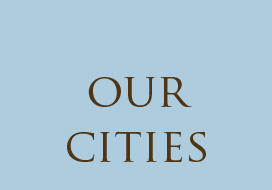 Meet at the Durham Visitors’ Center, 212 W. Main Street. Please arrive 15 minutes prior to your tour time.